George W. Brandt, a founding member of Lyons, Brandt, Cook & Hiramatsu, received his B.S. degree from Cornell University in 1964, his M.B.A. from Cornell in 1965, and his J.D. with distinction from Cornell University School of Law in 1972. He was an editor of the Cornell Law Review and a member of Order of the Coif and Phi Kappa Phi honor society. Mr. Brandt practices in the area of business transactions and commercial litigation. 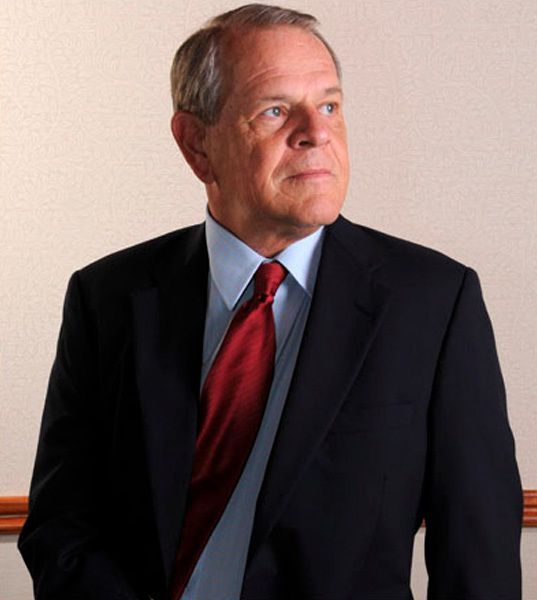 Initially practicing solely in the area of litigation, Mr. Brandt now uses his more than 40 years of legal experience to help clients avoid litigation and, if litigation can not be avoided, to vigorously represent them in a cost-effective and result-oriented manner. He maintains an active transnational practice and has experience dealing with legal systems in most Asian countries. For many years, Mr. Brandt has been recognized with Martindale Hubbell’s highest rating for legal ability and ethical standards. As an adjunct professor of law at the University of Hawaii, William S. Richardson School of Law, he has taught courses in commercial and secured transactions. Mr. Brandt is admitted to practice before the Supreme Court of Hawaii, the Supreme Court of California, United States District Courts for the Districts of Hawaii and Northern California, and the United States Court of Appeals, Ninth Circuit. He is a member of the California (inactive), Hawaii and American Bar Associations. Prior to attending law school, Mr. Brandt worked in business and served as a captain in the United States Army.